Admit it, iPhone’s batteries are not of the greatest batteries we have ever seen on smartphones. While much has changed in iPhones over the past few years, the battery life issues still seem to exist until Apple decides to put in a really large battery that can last for a long time. While many think that it is just the battery quality that is causing draining issues, it may not always be the truth. Sometimes, when your iPhone is filled with so many junk files and apps that run in the background, you unknowingly give your battery juice to those things that results in less lasting of your battery time. Here we show you some of the ways to fix the battery life problems on your (RED) iPhone 7 or iPhone 7 Plus after iOS 11.0.2, iOS 11, iOS 10.3 update. These tips may not completely fix the issues, at least they will enhance the battery life a little for you. Tips: The fixes we are going to share are useful for all iOS 11/10.3.3/10.3.2/10 devices including older iPhone 6/6 Plus/6s/6s Plus/5s/5 or iPad. One of the things you can do to gain better battery life is to reset your device. By doing so you are resetting everything to the default on your device. 1.Press and hold the Power button on your iPhone. Do not let it go just yet. 2. While you have held down the Power button, press and hold the Volume DOWN button as well on your iPhone. So, what you are doing is holding down Power and Volume DOWN buttons on your iPhone. 3. The screen of your iPhone should turn off but don’t let go of the buttons yet. 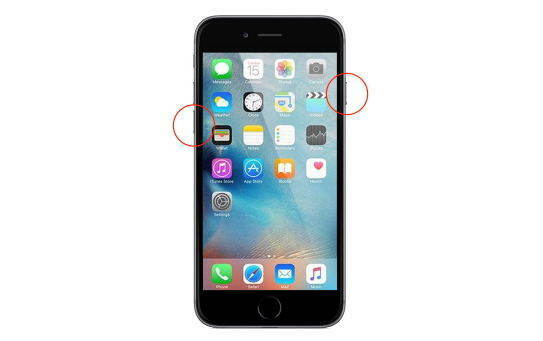 When you see the Apple logo on your iPhone’s screen, let go of both the buttons. It should have reset your iPhone. 1.Tap on the Settings icon on the homescreen of your iPhone to launch your iPhone’s settings panel. That’s where all of your iPhone settings are located at. 2. When the settings panel launches, scroll down until you see the option that says Battery. Tap on it to open Battery settings. 3. On the Battery settings panel, you will see a list of the apps and what percentage battery they use on your iPhone. You can now figure out what apps are consuming what percentage of battery, and if you think the apps that consume the most battery are not useful to you, then you can go ahead and uninstall them on your device to save battery. 4. One more thing you can do here is turn on the Low Power Mode which helps you save battery on your new iPhone. Another thing you can do to fix the battery is to see if the battery drains out very quickly even when your iPhone is on standby mode. This does not require you to follow any steps or use a tool to do something. Instead, what you need to do is just close all of the apps on your iPhone and then let it be that way for about half an hour. Check the battery percentage on your iPhone before you put it on standby mode and then let it be in that mode for about thirty minutes. After that, check the battery status once again and see if it has dropped significantly. It will give you an idea whether the issue is with the actual battery or it is with your usage. You might be using your iPhone a lot and perhaps that is the reason you see your battery running down quickly. If you have finished using an app on your iPhone and you do not intend to use it anymore for now, then make sure you close it on the device. Many apps that you leave open on your iPhone keep consuming your battery power that results in the battery draining out too quickly. To close an app on your iPhone, just press the Home button twice and then swipe the apps to the up and the apps will be closed. It is as simple as that to exit an app on an iPhone. 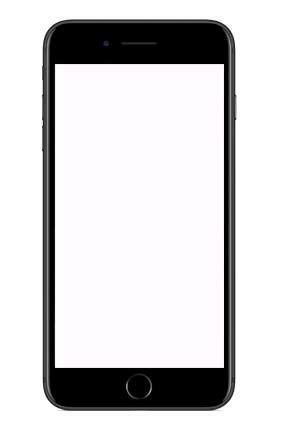 Many apps that run in the background on your iPhone keep refreshing themselves over the Internet to check if an update is available. This does use the battery power on your device and to extend your battery life you can have these apps disabled for background refresh. 1.Tap on Settings on the homescreen of your device. 2. Tap on General on the following screen. 3. Tap on Background App Refresh on the screen that follows to see what those apps are that update themselves in the background. 4. On the following screen, you can turn off background refresh for all the apps or for individual apps. If you think an app is doing a lot of background refreshes, then you can turn the toggle for that app to off position and that app will no longer be able to update itself in the background. You can also use the main toggle on the top that will disable background refresh for all of the apps in the list. While above were some of the ways you could try on your iPhone itself to fix the battery problems, there are some things that you should also do on your computer while your iPhone is attached to it to fix issues. What I’m talking about is using an app that helps you remove junk files from your iPhone so that there are no useless files that might be causing battery issues on your device. The Tenorshare iCareFone is such an app that helps you remove the unwanted junk files from your iPhone which results in more battery life on your device for you to enjoy it till you call it a day.